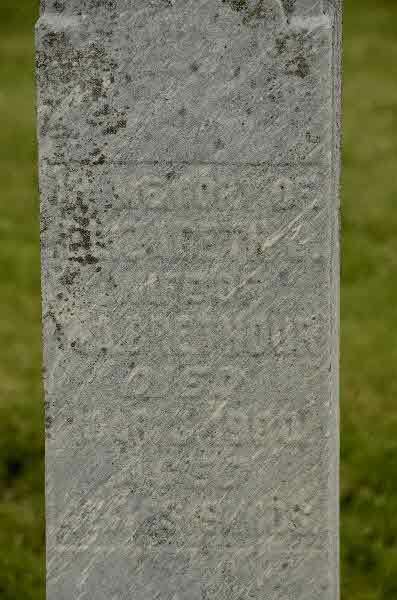 Burial* She was buried in Sunderland Cemetry, Brock Twp, Ontario County, Ontario, Canada. 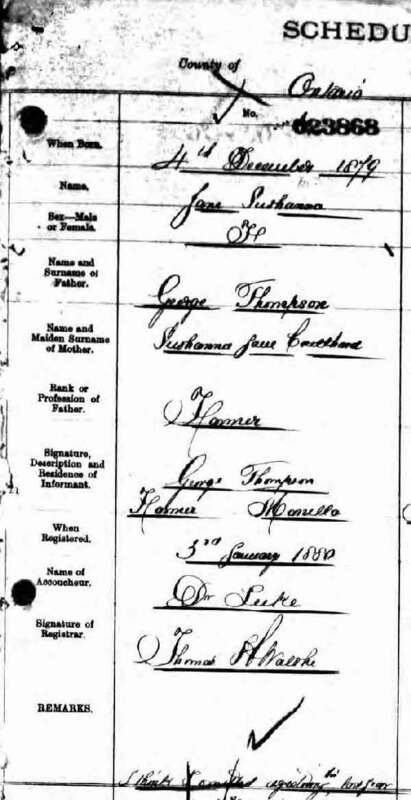 (Witness) Census Ellen S. Thompson appeared on the census of 30 June 1870 in the household of Carleton Warren in Stoneham, Middlesex County, Massachusetts, United States. 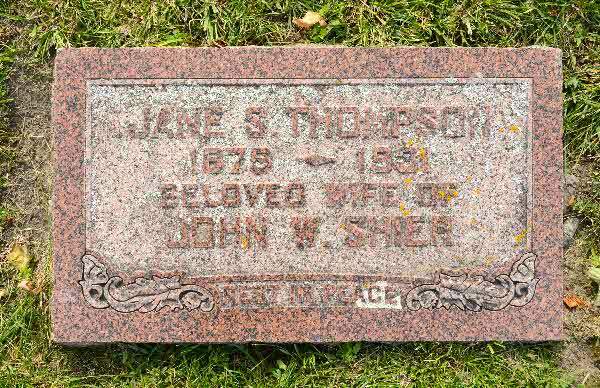 Birth* Jane Susanna Thompson was born on 7 December 1879 in Brock Twp., Ontario County, Ontario, Canada. 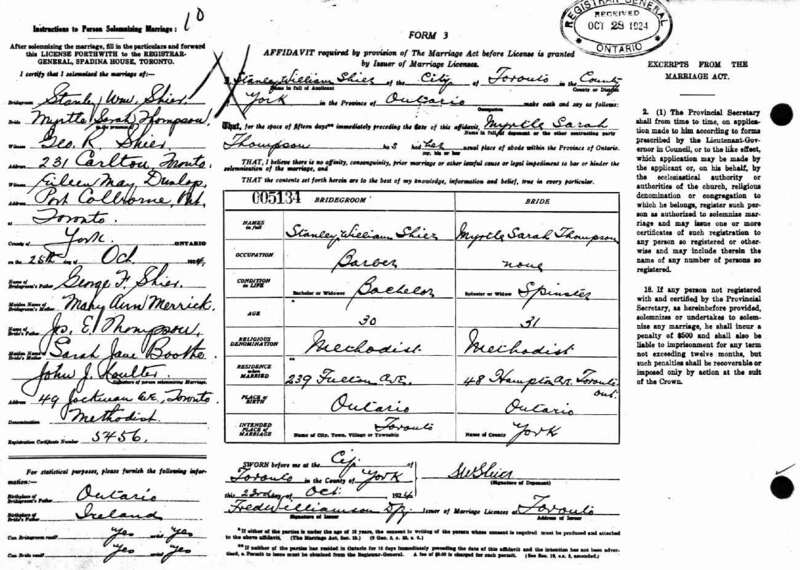 Marriage* Jane Susanna Thompson married John Wesley Shier, son of Julius Wesley Shier and Mary Doble, on 2 July 1901 in Toronto, York County, Ontario, Canada. 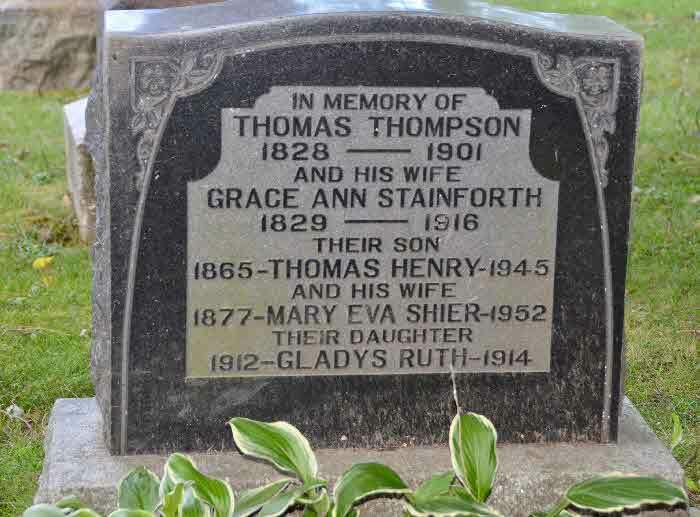 Death* Jane Susanna Thompson died on 2 December 1931 in Toronto, York County, Ontario, Canada, at age 51. 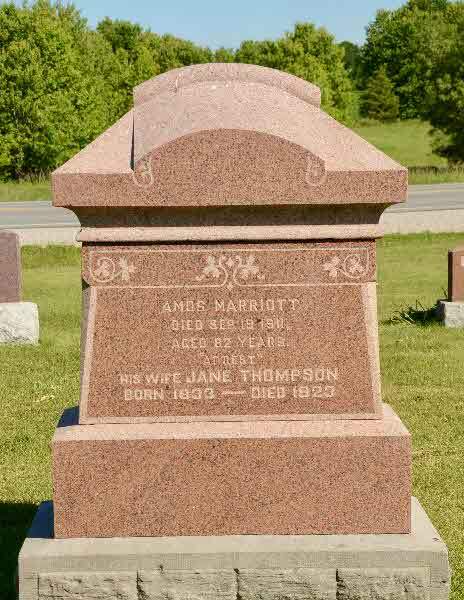 Burial* She was buried on 5 December 1931 in Sunderland Cemetery, Brock Twp, Ontario County, Ontario, Canada. 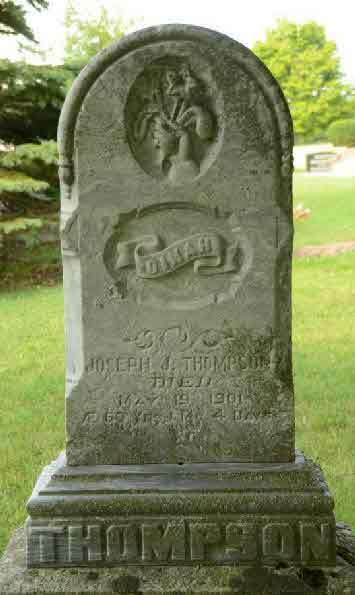 Death* Mary Thompson died on 14 June 1885 in Reach Twp., Ontario County, Ontario, Canada, at age 24. 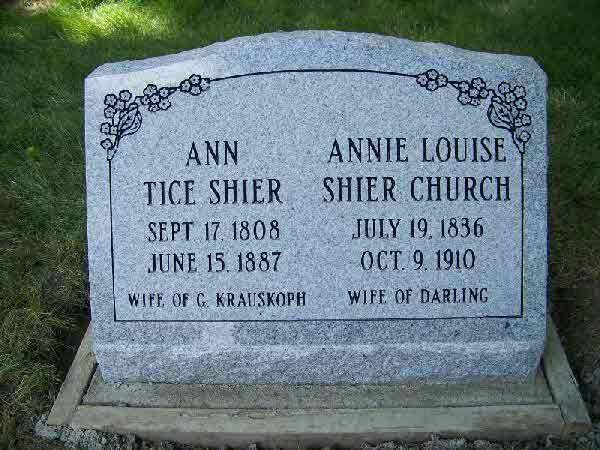 Marriage* She married William Stanley Shier, son of George Shier and Mary Annie Merrick, on 25 October 1924. 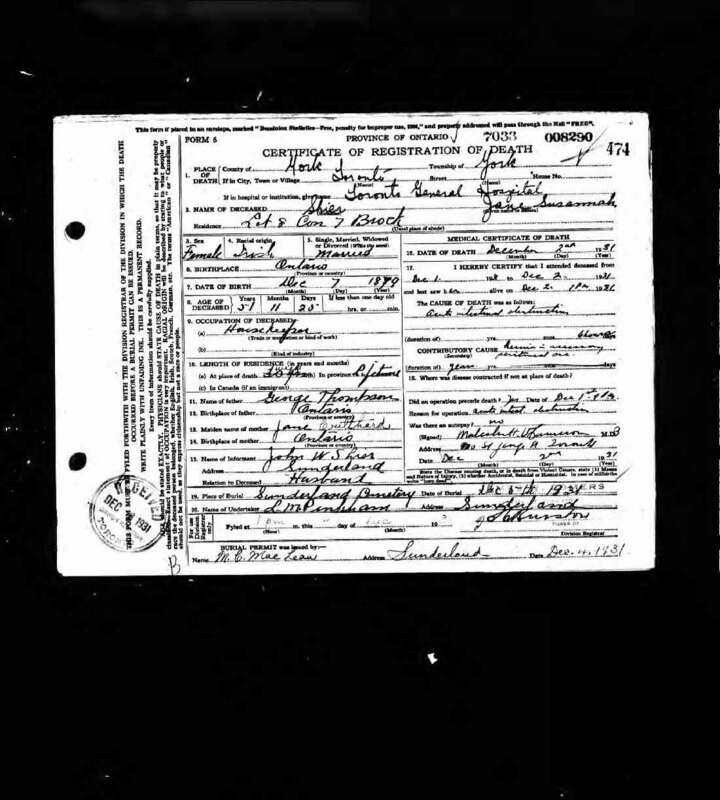 [S3] Unknown household, April 1901 Census of Canada, unknown repository address, unknown repository, Fenlon Twp, Victoria County Census of Thomas Henry Thompson. 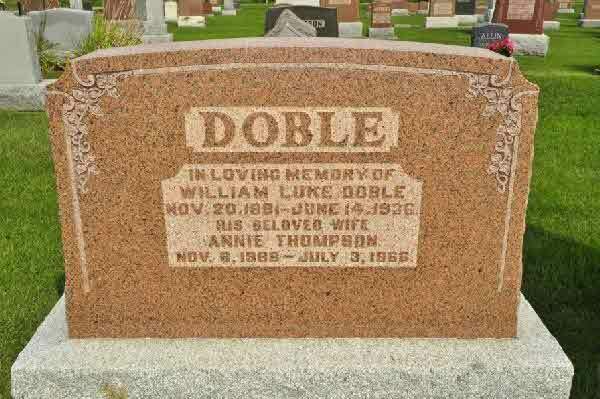 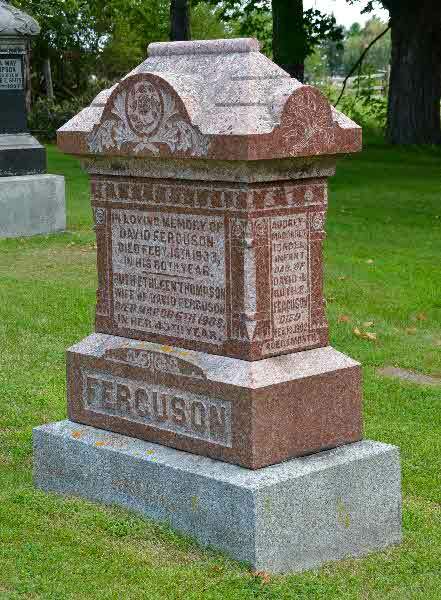 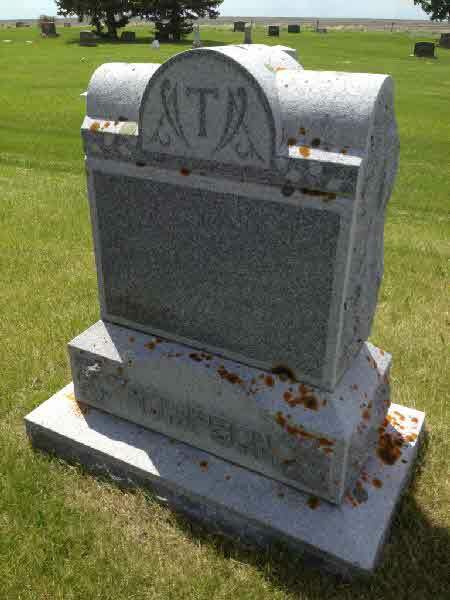 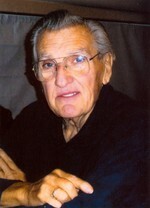 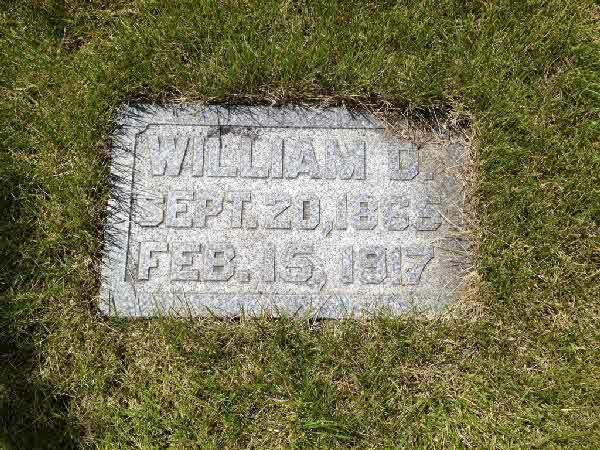 Burial* He was buried in Corinthian Cemetery, Calvin, Cavalier County, North Dakota, United States.